Purple Zebra Las Vegas at The LINQ is a unique daiquiri bar with a futuristic vibe. At its self-serve daiquiri round shaped bar with 30 frozen daiquiri flavors, you can mix an infinite number of combinations, and even add candy toppings. Purple Zebra carry countless types of containers in all sorts of funky shapes like saxophones, women fishnet clad leg, purple zebras, shoes and then some. 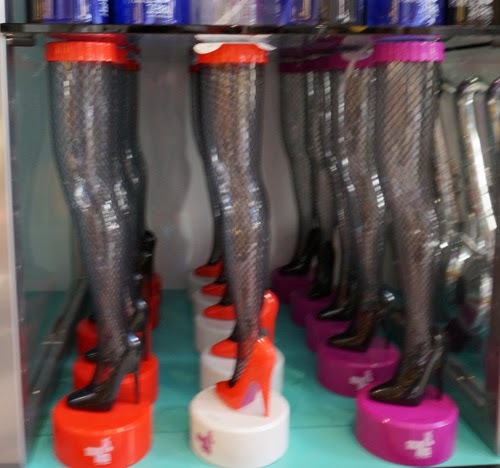 They also carry cool trinkets and candy. Daiquiri lovers are in heaven with all flavors to choose from. But, you really don't need to choose. 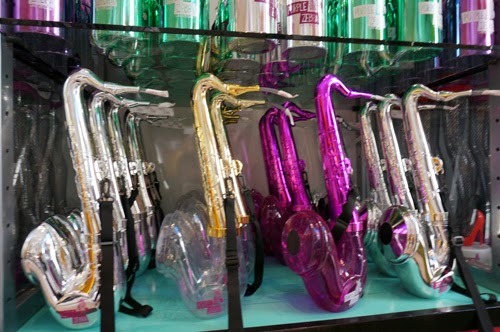 It's a self-serve bar, so, get you a saxophone and fill it up with all you can drink. You are brain freeze ready to go around The LINQ. With funky, fantastical wonderland-like design elements, grown-ups get to be kids again—and unlike the frozen yogurt parlor, these cold treats pack a savory adult punch. 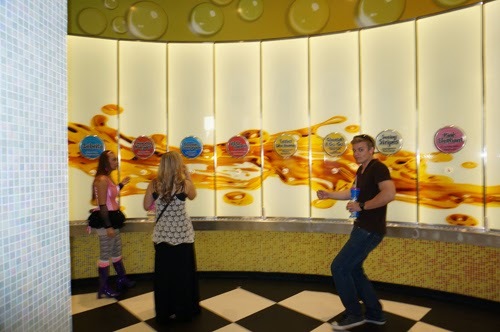 You get to sample about a dozen different types of flavors. The Best of the Best is the Peachy Keen and the second best is Cheetah a go-go. They offer different promotions during week days, like 2-for-1 on Tuesdays. The name Purple Zebra derives from a reference in Scott Fitzgerald's 1920 novel This Side of Paradise, which features a daiquiri drunk character surprised to witness a "purple zebra."